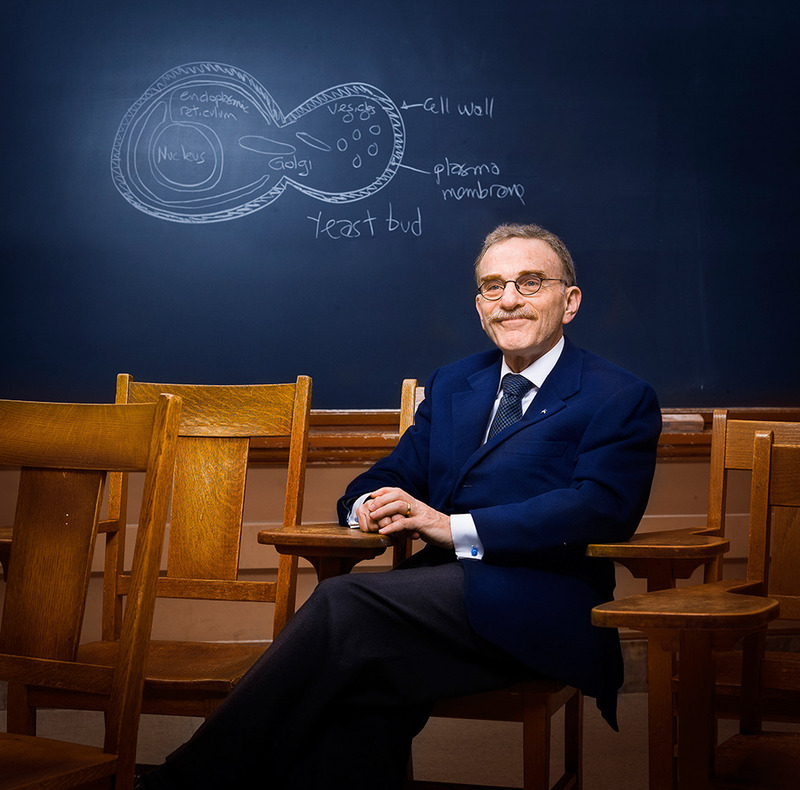 The UC Berkeley Nobel laureate who identified how cells transport and secrete proteins answers a few questions. Neuroscience. There is so much that we don’t know about the brain. No, I don’t. But I respect others who do, in particular if they don’t impose their views. I believe strongly in the separation of church and state. What book about science should everyone read? People who are interested in the life sciences will enjoy The Double Helix by James Watson; The Eighth Day of Creation by Horace Judson (it covers the history of molecular biology), and The Statue Within, the autobiography of Nobel laureate François Jacob (right), which is beautifully written. Yes. Just the idea that you can probe the structure of atoms to that degree… Look at all the money we waste on the military, on the prison system. I think having a mentor from an early age is very important. Do you have a fantasy experiment or study that you have been unable to do for logistical/ethical/ cost reasons? No. I like the simple experiments and my ideas tend to be very practical. Our very first experiments involved petri dishes, incubators, toothpicks and simple chemicals. My wife has dementia, so breakthroughs in understanding Parkinson’s disease would change my daily life measurably. With a disease like Parkinson’s or Alzheimer’s, if you had a way of arresting the process – even if you couldn’t prevent it – it would not be a disease at all. Yes. Having effective birth control is crucial. And our agricultural productivity will not keep up unless people lose their irrational fear of GM foods. Would you like to go on the first one-way journey to Mars? No. I like it here on Earth, and besides, the trip itself would almost inevitably kill you, because of all the exposure to cosmic radiation. If I called you a geek would you hold it against me? No. When I was in high school I got called a nerd. But after I won the Nobel prize they invited me back. I rode up in a limousine and was greeted by a marching band and pompom girls. Kids wanted to take selfies with me. I had replaced Tiger Woods as their most famous graduate… for a day!